That’s right! 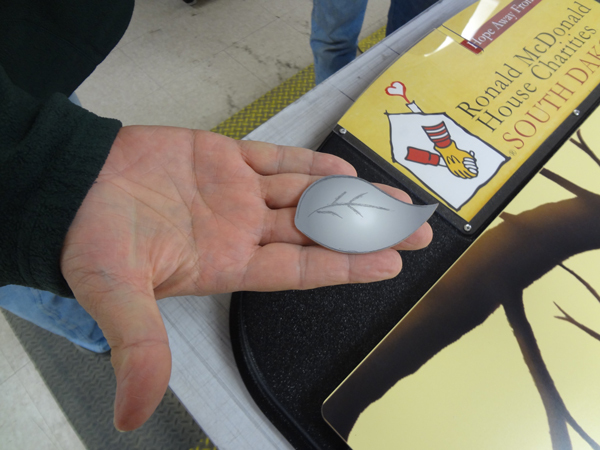 Check out this adorable travel sign Creative Surfaces refaced for the SD Ronald McDonald House Charities. This was an existing plinko board. 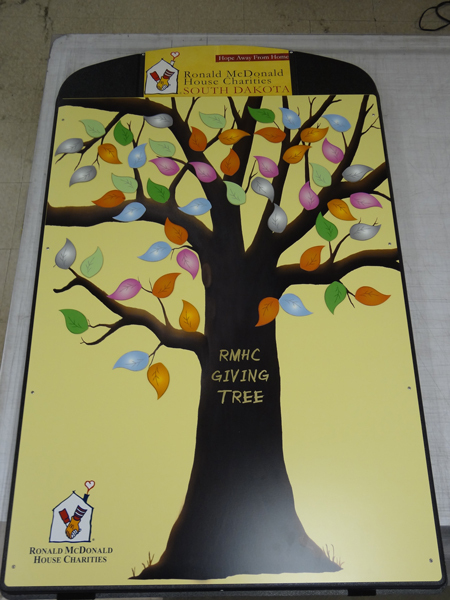 RMHC made the decision to put it to better use as a portable sign, complete with tiny little leaves, that replicates their current life sized Giving Tree at the House. They will utilize this for their fundraising efforts. Every leaf that is purchased represents something that is needed at the House, such as socks, toothbrushes, books, etc. The leaves will be adhered to the tree with velcro backs. 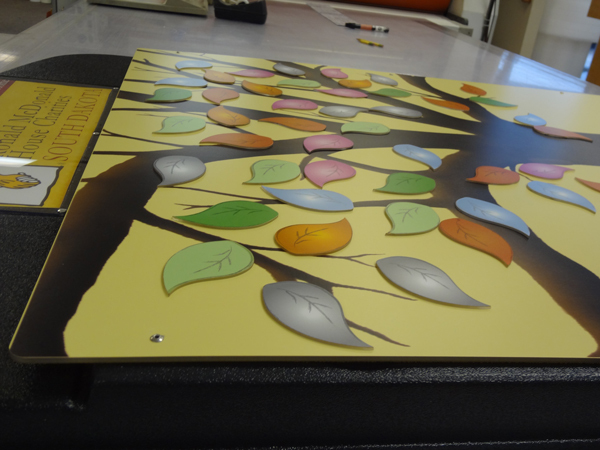 They will take this portable sign to various fundraising events they do throughout the year & fill the board with the leaves. 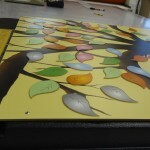 Leaves were a photo print stuck to 1/16in Plexi & lasered out. 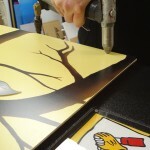 Here we are pre-drilling holes to attach the tree to the exisiting board. This is the rivet gun used. Here’s a close-up of the trees on the sign. 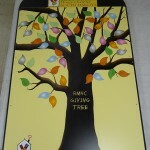 Creative Surfaces was happy to help the RMHC with their board. We support their charity wholeheartedly. RMHC of South Dakota provides a home away from home for the families of sick and/or injured children near a hospital where their child is receiving treatment and care. They are a warm, welcoming home to families across South Dakota and the upper midwest. If you ever have to stay at the house, be sure to check out their actual Giving Tree & see if there’s any way you could help! 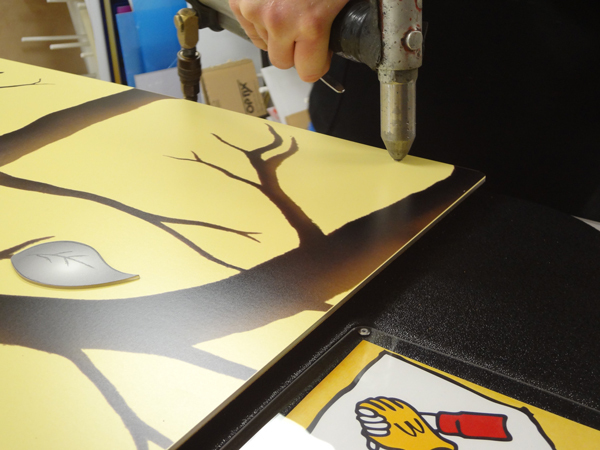 Keep Creative Surfaces in mind for your custom project. 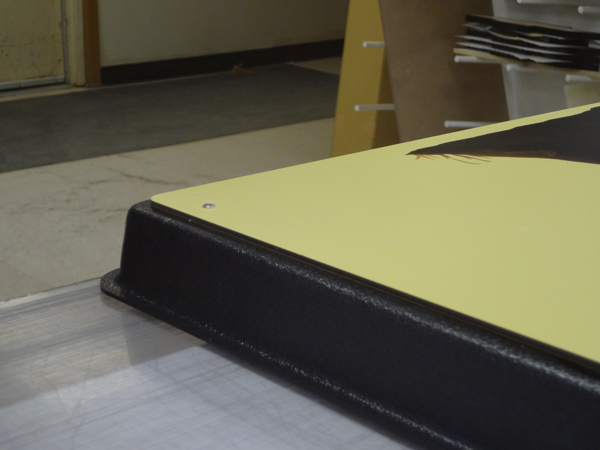 Whether it be casework (cabinetry) for your business, new countertops, special signage or even something out of the ordinary like a kiosk or display case. 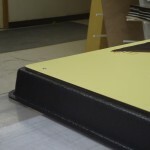 We would be happy to take a look at your project & see if we can help you. Our phone number is 605-336-1572. This is awesome! 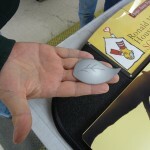 What Creative Surfaces does for the children of Sioux Falls is wonderful and greatly appreciated. You guys are great! Keep it up.